Now, some of my readers will be ahead of the game from me on this point. It may seem like an obvious point, but it is not until one has experienced it. The point is this: prayers are answered when these are in the Will of God. Prayers are not answered when these are not in the Divine Will. Now, from all time, Divine Providence has seen our lives and known us. God has had us and our lives, our trials, failures, sins, successes in mind from all time. So, when we pray, we are either praying in the Will of God or not. How do we know if we are praying in the Divine Will? Simple, our prayers are answered. Too simple for words---sometimes the answer is delayed. But, if the prayer is answered, it is because our wills have been in the Will of God. God does not "change His mind" in prayer. If someone has cancer and we pray and that person is healed, that was in the Will of God. If someone has cancer and we pray and that person is not healed, that is also God's Will. Too many people think that they can influence God. No, He puts both the will and the action in us. When Christ states, "Ask and you shall receive", He specifically means that our good prayers said in conformity with God's Will are answered. St. Thomas More must have prayed that he would not have to face death for his Faith. This was not to be so. Here is an interesting site with the trial and his comments, as well as his death and comments. This is a fuller answer to a Protestant reader. Most Protestants only believe in one type of grace. See my series on grace here. And the CCC under the painting. There is much confusion among Catholics less than 55 years old on the nature of grace. This is owing to bad catechesis and the Protestand mindset which crept into the Church in the 1970s. I am reposting this and one. Internal helps, which are either permanent (such as infused habits, for instance, sanctifying grace, the virtues and gifts) or transient (such as supernatural movements which excite in us indeliberate acts, pious thoughts and . Justification is to be derived from the prevenient grace of God, through Jesus Christ, that is to say, from His vocation, whereby, without any merits existing on their parts, they are called; that so they, who by sins were alienated . ... grace from another blog. Posted by Supertradmum · http://www.stpeterslist.com/5452/sacraments-of-the-dead-12-questions-on-sacrilege-and-grace/ · Email ThisBlogThis!Share to TwitterShare to FacebookShare to Pinterest. And, even in 2013, prejudice rears its ugly head in conversations with protestants, who have been raised to hate things, even people, which and who are Catholic. The second is disobedience, which is connected to heresy. We differ greatly from the Protestants, as we believe that Christ wants all to be saved. Grace is available to all men and women, but God gives as He wills, not as we will...We also believe that reason is an important faculty in . 1990 Justification detaches man from sin which contradicts the love of God, and purifies his heart of sin. Justification follows upon God's merciful initiative of offering forgiveness. It reconciles man with God. It frees from the enslavement to sin, and it heals. 1991 Justification is at the same time the acceptance of God's righteousness through faith in Jesus Christ. Righteousness (or "justice") here means the rectitude of divine love. 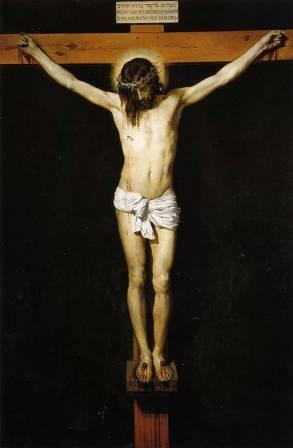 With justification, faith, hope, and charity are poured into our hearts, and obedience to the divine will is granted us. 1994 Justification is the most excellent work of God's love made manifest in Christ Jesus and granted by the Holy Spirit. It is the opinion of St. Augustine that "the justification of the wicked is a greater work than the creation of heaven and earth," because "heaven and earth will pass away but the salvation and justification of the elect . . . will not pass away. "43 He holds also that the justification of sinners surpasses the creation of the angels in justice, in that it bears witness to a greater mercy. 1997 Grace is a participation in the life of God. It introduces us into the intimacy of Trinitarian life: by Baptism the Christian participates in the grace of Christ, the Head of his Body. As an "adopted son" he can henceforth call God "Father," in union with the only Son. He receives the life of the Spirit who breathes charity into him and who forms the Church. 2005 Since it belongs to the supernatural order, grace escapes our experience and cannot be known except by faith. We cannot therefore rely on our feelings or our works to conclude that we are justified and saved.56 However, according to the Lord's words "Thus you will know them by their fruits"57 - reflection on God's blessings in our life and in the lives of the saints offers us a guarantee that grace is at work in us and spurs us on to an ever greater faith and an attitude of trustful poverty. 2006 The term "merit" refers in general to the recompense owed by a community or a society for the action of one of its members, experienced either as beneficial or harmful, deserving reward or punishment. Merit is relative to the virtue of justice, in conformity with the principle of equality which governs it. 2008 The merit of man before God in the Christian life arises from the fact that God has freely chosen to associate man with the work of his grace. The fatherly action of God is first on his own initiative, and then follows man's free acting through his collaboration, so that the merit of good works is to be attributed in the first place to the grace of God, then to the faithful. Man's merit, moreover, itself is due to God, for his good actions proceed in Christ, from the predispositions and assistance given by the Holy Spirit. 2014 Spiritual progress tends toward ever more intimate union with Christ. This union is called "mystical" because it participates in the mystery of Christ through the sacraments - "the holy mysteries" - and, in him, in the mystery of the Holy Trinity. God calls us all to this intimate union with him, even if the special graces or extraordinary signs of this mystical life are granted only to some for the sake of manifesting the gratuitous gift given to all. 2028 "All Christians . . . are called to the fullness of Christian life and to the perfection of charity" (LG 40 § 2). "Christian perfection has but one limit, that of having none" (St. Gregory of Nyssa, De vita Mos. :PG 44, 300D). 2029 "If any man would come after me, let him deny himself and take up his cross and follow me" (Mt 16:24). 34 Rom 3:22; cf. 6:3-4. 36 Cf. 1 Cor 12; Jn 15:1-4. 37 St. Athanasius, Ep. Serap. 1,24:PG 26,585 and 588. 39 Council of Trent (1547): DS 1528. 40 Cf. Council of Trent (1547): DS 1529. 42 Council of Trent (1547): DS 1525. 43 St. Augustine, In Jo. ev. 72,3:PL 35,1823. 44 Cf. Rom 7:22; Eph 3:16. 46 Cf. Jn 1:12-18; 17:3; Rom 8:14-17; 2 Pet 1:3-4. 47 Cf. 1 Cor 2:7-9. 48 Cf. Jn 4:14; 7:38-39. 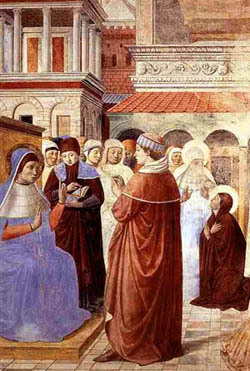 50 St. Augustine, De gratia et libero arbitrio, 17:PL 44,901. 51 St. Augustine, De natura et gratia, 31:PL 44,264. 52 St. Augustine, Conf. 13,36 51:PL 32,868; cf. Gen 1:31. 54 Cf. 1 Cor 12. 56 Cf. Council of Trent (1547): DS 1533-1534. 58 Acts of the trial of St. Joan of Arc. 59 Roman Missal, Prefatio I de sanctis; Qui in Sanctorum concilio celebraris, et eorum coronando merita tua dona coronas, citing the "Doctor of grace," St. Augustine, En. in Ps. 102,7:PL 37,1321-1322. 60 Council of Trent (1547): DS 1546. 61 Cf. Council of Trent (1547): DS 1548. 62 St. Augustine, Sermo 298,4-5:PL 38,1367. 63 St. Thérèse of Lisieux, "Act of Offering" in Story of a Soul, tr. John Clarke (Washington DC: ICS, 1981), 277. 65 LG 40 § 2. 67 LG 40 § 2. 68 Cf. 2 Tim 4. 69 St. Gregory of Nyssa, Hom. in Cant. 8:PG 44,941C. 70 Cf. Council of Trent (1547): DS 1576. I may not be able to blog or be online today. The Net here is literally on and off, in seconds and in minutes. Apologies for interruptions. Many years ago, for several years, I taught the Confessions of St. Augustine. I am now re-reading his text. The book is an examination of the soul, mind, memory and imagination of a man becoming a saint. He is clear about his predominant faults and his neglect of his spiritual life for so many years. The list of this pre-saint's sin is staggering: lust, pride, curiosity, wastefulness of time, spiritual sloth, anger, heresy, and so on. I have actually, heard from the mouths of priests, that St. Augustine was too hard on himself. This type of mind-set is extremely dangerous. It completely misses the point of the sharing of the purgation of one of the greatest saints of all time. As I was reading about the conversion of St. Augustine, I was struck by the fact that a holy priest and bishop brought this great sinner, saint-to-be, into the Church. St. Ambrose was, perhaps, the most holy man of his day. It takes a saint to lead a saint. Pray for saintly priests and bishops today. I am continuing today on the weakness of the Church from within, concentrating on a selection which I have posted before from Garrigou-Lagrange. Too many priests, nuns, sisters, laity fight the purification of the predominant fault. Virtues are not released because one is in a prison of the self. Garrigou-Lagrange has this table to help us see and combat sin and vice in our souls. from Ch22 of "The Three Ages of the Interior Life" - Fr R. Garrigou-Lagrange, O.P. Inordinate love of self Pride in regard to self Vain glory, from which come: disobedience, boasting, hypocrisy, contention through rivalry, discord, singularity, stubbornness. Acedia (sloth), hatred of spiritual things, whence are born: malice, rancor, pusillanimity, discouragement, spiritual torpor, forgetfulness of the precepts, seeking after forbidden things. to sadness at his success. Concupiscence of the eye's Avarice, whence proceed: perfidy, fraud, deceit, perjury, itch to acquire and excessive anxiety to keep, harshness, hardness of heart. of the flesh Gluttony, which engenders: improper jokes, buffoonery, impurity, foolish conversation, stupidity. Lust, whence proceed: spiritual blindness, poor judgment, impetuosity (of decision), inconstancy, love of self even to hatred of God, attachment to the present life which destroys hope of eternal life. Before conquering our predominant fault, our virtues are often, to speak more properly, natural good inclinations rather than true and solid virtues that have taken root in us. Prior to victory over this fault, the fountain of graces is not yet adequately opened on our soul, for we still seek ourselves too much and do not live sufficiently for God. Because of the rise of the occult, witchcraft is increasing, as well as satanism, as we see in the current battle in Oklahoma. These two serious and damning sins come from the table above of seeking out forbidden things. The laxity of priests not speaking of the dangers of the occult and not addressing the great sin of rebellion, the primordial sin of satan, has created a lax attitude among Catholics regarding the connection between witchcraft and disobedience, witchcraft and lust, and the worst connection, witchcraft and abortion. Witches sacrifice babies as do satanists. Sorry to bring this up, but anyone one who has spiritual eyes can see this in today's world. I came across a horrible quotation from one of the original Anglican womynpriests, or priestesses, which clearly shows the connection. Ms. Carter Heyward, one of the Philadelphia Eleven, said this, a direct connection between witchcraft and abortion. "If women were in charge, abortion would be a sacrament, an occasion of deep and serious and sacred meaning." I bring this up because I began to notice something about a certain drugstore chain in America in the Midwest. Women in more than one store of this famous chain were sporting tattoos with symbols of wicca. First of all, I moved my pharmaceutical account from that chain. Then, I began to think as to why so many wiccas (I saw about eight) would be hired by this chain in the pharmacy department. It came to me that these wiccas participate in glorifyimg and encouraging and causing abortions by passing out contraceptives which are abortifacients. They are participating in their horrible sacrament. Do not kid yourselves on this fact. God wanted me to see this in order to understand how prevalent this sin is and how anyone with the predominant fault of pride could fall into such darkness. If you have any youth in your family messing about with the occult, realize how serious the connected sins are and the underlying predominant fault. Sadly, the above quotation is from a woman who has worked in the Episcopalian church for many years, and who has been highly instrumental in teaching and publishing. Do not kid yourself as to the horrible danger of Catholics who support the womynpriest movement. One reason why God created the patriarchal, male line of priests was to make a break from the ancient pagan religions and witchcraft which had women "priestesses". To raise men back up to the role and call of Adam is part of the reason for the male priesthood and the fact that the man is the head and priest of his family. Where there is a problem of the woman ruling the house over the man, there could be a predominant fault of pride, and the sin of rebellion in that woman. A long time ago, I saw this in a family, where the woman not only ruled the family and the husband let her, taking a weakness of his and letting it run him. Sadly, one of the boys became a homosexual as a result of this false nurturing. My guess is that this is not unusual. Neo-paganism may be the fastest growing religion in America. This weakens the Church from within. I would not have to write these types of posts if priests had not stopped preaching on sin and corruption of the soul. Pray for God to remove all rebellion and pride, lust, greed, gluttony, anger, avarice, sloth from your soul, mind, heart. Pray for the purification of the Dark Night. The Church needs people who know themselves and know God. This was a difficult post to write. I do not like looking at evil. But, we all must come to this honesty. Everyone has a predominant fault. Some have more than one. I have been thinking of how some vices come in pairs or even triplets. The knowledge of self and one's sins is one of the reasons for purification. If one is attempting to cooperate with grace regarding the destruction of the predominant faults, one may find that the fault is connected to another and another. For example, pride can morph into vainglory and presumption. Sloth may be easily attached to Gluttony and Greed. Envy, Anger and Lust sometimes "work together". One sees a pattern. Now, because of concupiscence, we shall be tempted all our lived until the moment of death. Even the greatest of saints experienced trials in the last months of their lives. St. Therese the Little Flower is only one example. The predominant fault is the defect in us that tends to prevail over the others, and thereby over our manner of feeling, judging, sympathizing, willing, and acting. It is a defect that has in each of us an intimate relation to our individual temperament. (1) There are temperaments inclined to effeminacy, indolence, sloth, gluttony, and sensuality. Others are inclined especially to anger and pride. We do not all climb the same slope toward the summit of perfection: those who are effeminate by temperament must by prayer, grace, and virtue become strong; and those who are naturally strong, to the point of easily becoming severe, must, by working at themselves and by grace, become gentle. Before this progressive transformation of our temperament, the predominant defect in the soul often makes itself felt. It is our domestic enemy, dwelling in our interior; for, if it develops, it may succeed in completely ruining the work of grace or the interior life. At times it is like a crack in a wall that seems to be solid but is not so; like a crevice, imperceptible at times but deep, in the beautiful facade of a building, which a vigorous jolt may shake to the foundations. For example, an antipathy, an instinctive aversion to someone, may, if it is not watched over and corrected by right reason, the spirit of faith, and charity, produce disasters in the soul and lead it to grave injustice. By yielding to such an antipathy, it does itself far more harm than it does its neighbor, for it is much more harmful to commit injustice than to be the object of it. The predominant fault is so much the more dangerous as it often compromises our principal good point, which is a happy inclination of our nature that ought to develop and to be increased by grace. For example, a man is naturally inclined to gentleness; but if by reason of his predominant fault, which may be effeminacy, his gentleness degenerates into weakness, into excessive indulgence, he may even reach the complete loss of energy. Another, on the contrary, is naturally inclined to fortitude, but if he gives free rein to his irascible temperament, fortitude in him degenerates into unreasonable violence, the cause of every type of disorder. Christ explains that the enemy is the devil,(3) who seeks to destroy the work of God by creating disunion among those who, in a holy manner, ought to collaborate in the same work for eternity. He is skillful in exaggerating in our eyes the defects of our neighbor, in transforming a grain of sand into a mountain, in setting up, as it were, a magnifying glass in our imagination, that we may become irritated at our brethren instead of working with them. Considering all this, we can see what evil may spring up in each of us from our principal fault if we are not most attentive to it. At times it is like a devouring worm in a beautiful fruit. When one is attempting to live in community, the devil attacks by putting the predominant faults of others "in one's face" constantly. If one is aware of what is happening, one can avoid this deception and turn to prayer and compassion for the other. In Chapter 22, the great Dominican writes of "The Predominant Fault".The holy priest lists most of the obvious sins, but I want to highlight one, but in a different manner. We know that Pride is most likely the worst of all sins and .